The great team here at Round Rock Towing Service are here to help with auto towing, whatever the situation. We can offer commercial towing, a 24 hour emergency recovery service if you’ve had a breakdown or accident, and can also take care of heavy duty towing if your car is stuck somewhere off road and needs specialist equipment to recover it. We can be in your location quickly thank to our on call team, and our operators will let you know our expected arrival time when you call the issue in. If you have been involved in a minor car accident and need to have your vehicle removed from the roadside to have it assessed for insurance, and repaired, we can help. We have a wide variety of towing equipment and teams on call 24/7 to come and help wherever you are in our service area. You don’t have to put up with a long wait on the roadside. It’s not safe and it’s certainly not fun. Give us a call instead and let us get to you quickly to help you get moving again. If you have had an accident, depending on the damage done, we may choose to deploy a rollback service. This often allows us to safely and quickly remove the vehicle from the roadside, even in a tight spot, without any further damage. When we recover your vehicle, we will then tow it to an agreed location, usually your regular mechanic or one of our recommendation, for it to be assessed for insurance purposes and repair. 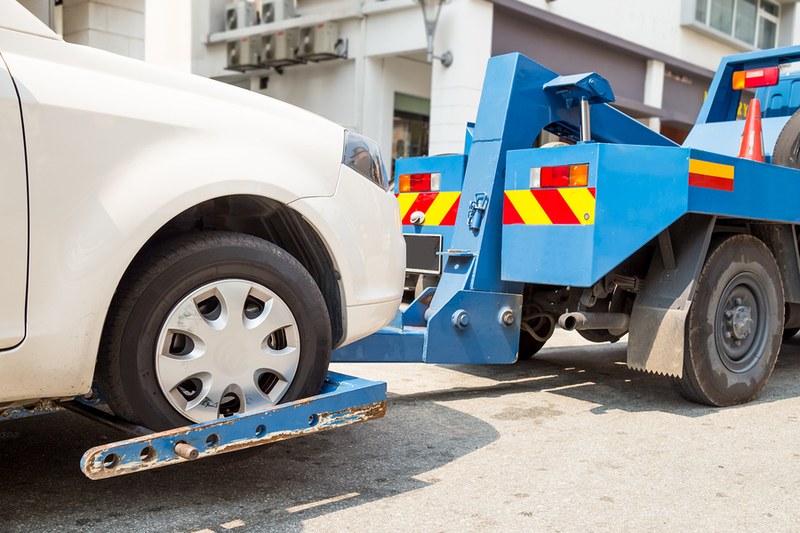 You might need a regular towing service if you have a commercial property and parking lot. Keeping the area free of abandoned or incorrectly parked vehicles is important to make sure your customers and staff can get into the area safely. When we work with business clients, we can offer an ongoing service agreement which will guarantee competitive, efficient and affordable rates. And of course, we are professional and dedicated, to make sure you have nothing else to worry about. Get in touch today. Give Round Rock Towing Service a call if you need help! Round Rock Towing Service always offer a reliable, and affordable auto towing service. We offer professional and courteous service, and try to go the extra mile, because we know that you’re probably having a bad enough day already. We have a great on-call team, and an excellent record of fast response times, which has led previous customers to recommend us to their friends and family who need a towing service. Check out the client testimonials available on our home page.